The stealth candidate for feel-good book of the decade has to be The Better Angels of Our Nature (2011). It’s stealthy because, at 700 pages of text plus a couple hundred more of notes and citations, mainly to academic works, it won’t immediately strike most readers as a good time. 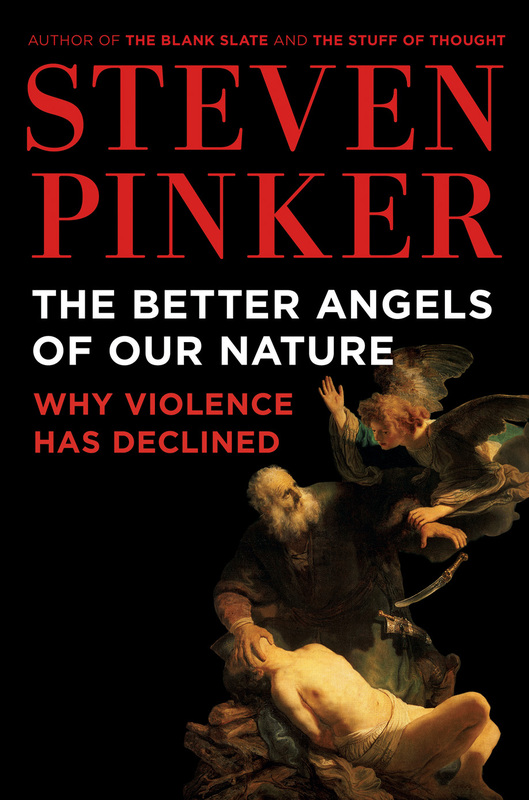 Besides, Pinker doesn’t skimp on the gory details of medieval torture, religious persecution, the likelihood of death by mayhem in hunter-gatherer societies, and the implications of technological improvements in warfare on the integrity of your internal organs. If you aren’t feeling great yet, rest assured all this detail is in the service of a happy message: The likelihood that we in the 21st century will perish by violence is lower now than it has been at any point in human history, by a lot. And so is the likelihood that we will experience non-lethal violation of our bodies, our civil rights, our cultural sensibilities, or even dinner table etiquette (our own children excepted). Pinker takes great satisfaction in puncturing popular misconceptions about how the world has never been more dangerous fostered by TV news producers, interest group activists, NGO fundraisers, and chest-thumping political candidates. A lot of his work is done by the simple fact that as the world’s population grows, large-scale violence doesn’t necessarily translate into high per-capita vulnerability. But Pinker’s story is about much more than an increasing denominator. He draws from psychology, political science, anthropology and archaeology, demography, criminology, game theory, economics, history, religion, and literature. And he writes far more gracefully than most academics do. The book is a tour de force, and it’s hard to come away from it without the sense that, in at least one very important way, our present century is shaping up to be much better than those that preceded it. Not a lot of books I’ve read lately have that effect.